Experienced Physiotherapist Michelle Kao will be happy to treat your injuries that are a result of a workplace injury claim. Shelbourne Physiotherapy is part of the WorkSafeBC (WCB) provider network helping workers in the Greater Victoria Area. Physiotherapy to injured workers is offered free of charge on accepted claims. Our Shelbourne Physiotherapists will perform an extensive assessment including testing of functional status and identification of return to work barriers. 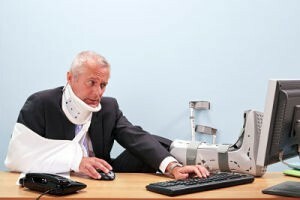 Our Physiotherapists may need to contact the employer and WCB adjuster to promote safest return to work for the injured worker. We always make sure that our clients engaged in the whole process and all the decision making is done together. WorksafeBC automatically approves the first week of Physiotherapy and no doctor’s referral is required. Call the clinic at 250-381-9828 to get started! From health care workers getting bad backs to factory workers with shoulder & neck problems, physiotherapists can help to treat your injuries. 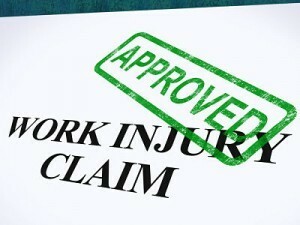 Upon approval of your claim, WorkSafeBC will cover continued physiotherapy treatments for a minimum of 8 weeks. On 1 June of this year, WorkSafeBC launched a new contract for physiotherapy services. The new model, developed in cooperation with the Physiotherapy Association of BC, changed from a fee-for-visit service to a block-funding service. It now places a greater focus on workers’ functional abilities, their critical job demands, and the goal of safely returning them to work. Under the new system, injured workers continue to receive physiotherapy services as required, and the therapist determines the most clinically appropriate frequency of treatment. Standard treatment: Nonsurgical worker-patients receive treatment–in the form of blocks–through assessment (1 week), treatment (6 weeks), and extension (4 weeks). Postsurgical treatment: Worker-patients who have undergone surgical intervention receive longer treatment blocks and resources through assessment (1 week), treatment (8 weeks), and two possible extensions (4 weeks each). All registered claimants are entitled to a paid assessment block. The physical therapist will work with WorkSafeBC to accommodate injured workers whose rehabilitation needs fall outside this structure. No changes have been made to physiotherapy services provided in the home, or for those workers who have sustained a neurological injury. These patients may also receive hydrotherapy, which can occur in combination with either treatment service. The new treatment model asks physical therapists to perform a thorough initial assessment, which includes determining the injured workerís current functional abilities, identifying critical job demands, and contacting the employer to confirm job demands and the availability of light or modified duties. 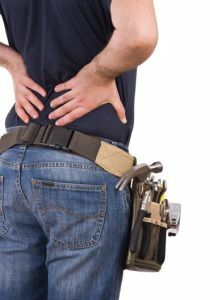 If a match exists between current functional abilities and available worksite duties, then the physical therapist is able to assist the worker in safely reintegrating into his or her work environment. If no match exists, then the therapist is able to comment on the appropriate timing and duties of the return-to-work plan. In the new reporting structure, physical therapists provide significant clinical findings and information on the worker’s functional abilities, critical job demands, and expected treatment duration and outcome. The reports are customized to the worker’s stage of rehabilitation and are designed to facilitate the transfer of key information to the WorkSafeBC claim owner and other health care professionals, including the family physician involved in the worker-patient’s care. Injured workers do not require a physicianís referral to seek physiotherapy treatment. However, WorkSafeBC continues to expect physical therapists to communicate with the worker’s family physician or surgeon/specialist for medical direction as required. For postsurgical rehabilitation, the physical therapist would contact the surgeon to either obtain a copy of the postsurgical protocol or clarify postoperative rehabilitation guidelines. Physiotherapy treatment does not replace the need for injured workers to have regular contact with their family physicians or specialists. The new treatment model requires physical therapists to either sign a contract with WorkSafeBC or work with a clinic that has signed a contract. This has enabled WorkSafeBC to create a list of contracted physiotherapy providers. By signing the contract, physical therapists agree to deliver a level of service that meets contract expectations.